LncRNAs play pivotal roles in many important biological processes, but research on the functions of lncRNAs in human disease is still in its infancy. 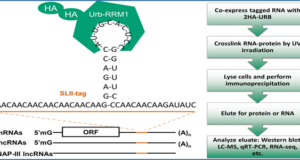 Therefore, it is urgent to prioritize lncRNAs that are potentially associated with diseases. 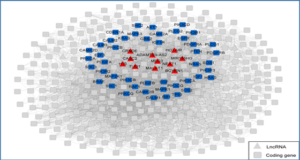 Researchers from the Shanghai Jiao Tong University have developed a novel algorithm, LncPriCNet, that uses a multi-level composite network to prioritize candidate lncRNAs associated with diseases. 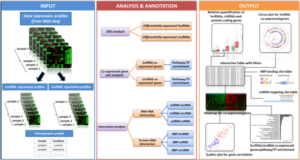 By integrating genes, lncRNAs, phenotypes and their associations, LncPriCNet achieves an overall performance superior to that of previous methods, with high AUC values of up to 0.93. Notably, LncPriCNet still performs well when information on known disease lncRNAs is lacking. 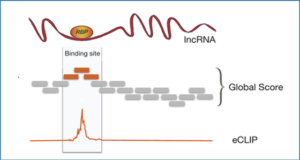 When applied to breast cancer, LncPriCNet identified known breast cancer-related lncRNAs, revealed novel lncRNA candidates and inferred their functions via pathway analysis. 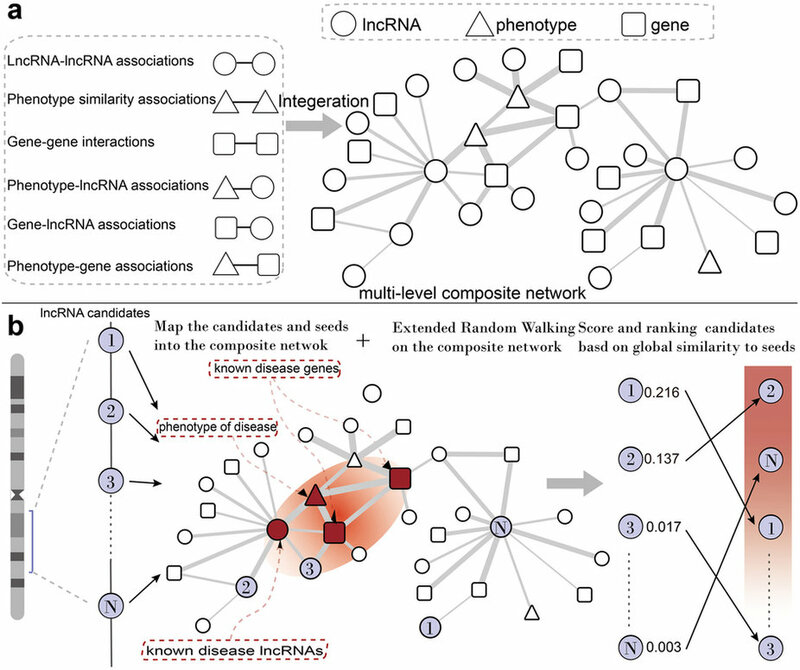 The researchers further constructed the human disease-lncRNA landscape, revealed the modularity of the disease-lncRNA network and identified several lncRNA hotspots. 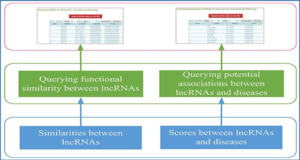 In summary, LncPriCNet is a useful tool for prioritizing disease-related lncRNAs and may facilitate understanding of the molecular mechanisms of human disease at the lncRNA level. (a) Construction of the multi-level composite network. This network is constructed by six sub-networks. White circle indicates lncRNA; white square indicates gene; white triangle indicates phenotype. The thickness of the edge indicates the weight score. 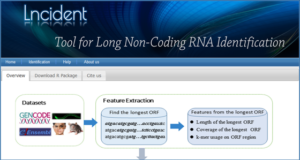 (b) The flow chart by which LncPriCNet optimizes the candidate lncRNAs. First, the candidate lncRNAs of interest and seed nodes are mapped to the multi-level composite network. Then, a global extended RWR method is used to score the candidate lncRNAs according to their proximity to seed nodes. Finally, the candidate lncRNAs are ranked according to the scores. Purple circles represent the candidate lncRNAs of interest; red triangle indicates disease phenotype (phenotype seed) of interest from the OMIM database; red squares represent known disease genes (gene seeds) from the OMIM database; and red circles indicate known disease lncRNAs (lncRNA seeds) from the lncRNADisease database.